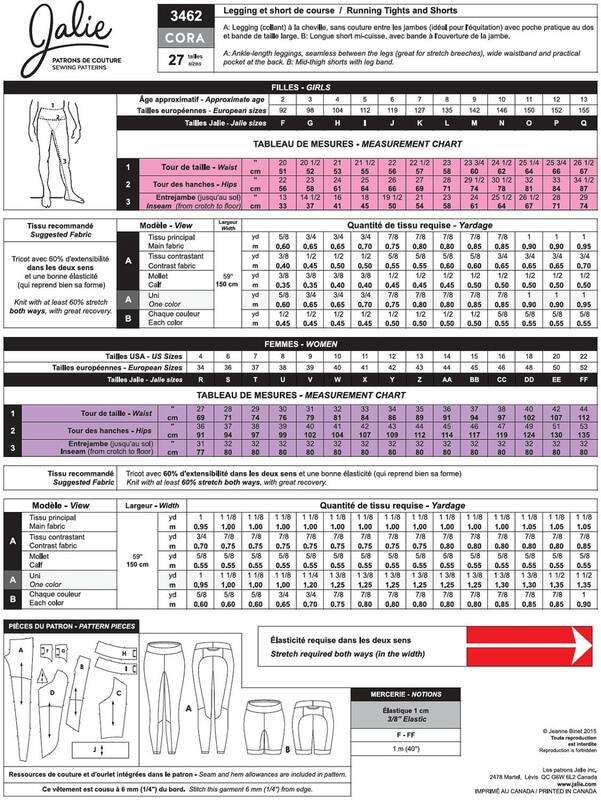 Jalie sewing pattern number 3462 "Cora"
Pattern includes 27 sizes in 1 package. A: Ankle-length leggings, seamless between the legs (great for stretch breeches), wide waistband and practical pocket at the back. B: Mid-thigh shorts with leg band.